If you had to nominate just one event for each decade, what would it be? Here is my list. Do you agree with it? To keep the blog to a readable length I have confined this one to the period 1914-1963. In a couple of weeks I will do 1964-2013. In the meantime, I would welcome comments, counter-propositions and nominations for the period from the 1960s to the present. Quite a lot of the definitive trends and practices were already in place before the onset of the World War. “Planning Schemes” as they were called had been introduced in the UK in legislation of 1909, though it was really Germany that led the way in “Town expansion planning”. In the USA the first National Conference on City Planning had been held in Washington, D.C. in 1909, the same year that Los Angeles introduced comprehensive land use zoning. The Howard-inspired First Garden City Ltd was already being built at Letchworth, and the Garden Suburb had also been invented. Thus, while mass suburbanisation only really began after the War ended, the international planning community were already engaged with ways to plan suburbs. Therefore, my timeline entry is Patrick Geddes’ book “Cities in Evolution”. It was published in 1915, and gave the world a name for what was to become the dominant urban form for the century: the “conurbation”. At a time when planning internationally was closely tied to the umbilical cord of architecture and the City Beautiful, Geddes’ vision of “folk planning” was radical. It still remains ahead of its time across much of the world today. During this period Geddes was teaching at Bombay University at doing his Civic Surveys in several Indian cities, and planning Jerusalem and Tel Aviv, making him one of the first town planners to practice internationally. In the previous decade planning had a free-wheeling innocence. During the 1920s, the Regional Planning Association of America played a crucial role in fostering and disseminating new design concepts both in America and internationally. Clarence Stein and Henry Wright developed the Radburn layout. Clarence Perry conceived the Neighbourhood Unit, and there were the landscaped parkways of New York. The timeline entry is Le Corbusier’s Plan Voisin of 1925. It proposed extensive demolition of historic districts in the north of Paris. They would make way for 18 uniform 700 foot high towers. He couldn’t understand why there was outrage and why some called him a barbarian. None of that diminished the global influence of Le Corbusier’s vision, which endures, notably across much of Asia and the Middle East. 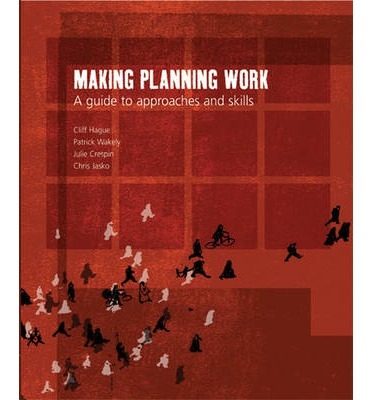 By the 1930s the darker side of planning was recognisable. Planning was not merely a matter of professional hubris: it was entangled in power in an age of dictators. Mussolini had already overseen a sweeping Master Plan to rebuild Rome. The 1935 plan to modernise Moscow with the metro system and ornate stations, sought to contain the city’s growth. Under-urbanisation was a persistent feature of Communist systems for the next half century. In multi-ethnic Chicago, Louis Wirth grasped that what he called “heterogeneity” was a fundamental quality of cities. In Germany, Nazi theoreticians understood this too, and despised the urban culture and its roots in what we now call “diversity”. They celebrated the purity of small towns in rural areas. Nevertheless, Albert Speer was able to create his 1939 plan to transform Berlin into a staging ground for ceremonial displays of dictatorial power. It is the timeline entry because it so defined the era. Often thought of as the “Golden Age” of urban planning, there is no shortage of candidates for this decade. The rebuilding of bomb-flattened Rotterdam showed the value of planning in a post-conflict situation. The UK’s Mark 1 New Towns had a global resonance. In contrast, there was Copenhagen’s Finger Plan, which rejected the green belt and self-contained town British model, mixing jobs near homes with scope for commuting along high-speed transport links along the fingers. Stockholm’s 1952 General Plan similarly produced a definitive growth strategy, based on an underground railway network, and local pyramids of density around the stations. This is my timeline entry, because it has underpinned so much later practice internationally. Meanwhile, the University of Chicago began teaching planning as a form of decision-making, but it would be another 20 years before this perspective would become common currency . The high hopes of the previous decade gave way to disappointment and critique. Rachel Carson’s 1962 book “The Silent Spring” raised international awareness of environmental pollution. However the timeline entry has to be Jane Jacobs’ “The Death and Life of Great American Cities” from the same year, which transcended the national focus in its title and helped people everywhere see cities and the role of planning in a new way. This was when I came into planning, doing the post-graduate Diploma course at Manchester University from 1966-68. However, that event is NOT the highlight of the decade! In orthodox town planning, this was still the age of New Town building. Brasilia was taking shape, while here in the UK architects and planners made pilgrimages to see Cumbernauld, with its megalithic town centre piled atop a bleak Scottish hill. However, the real problems were in the cities. In the USA, suburbs spread as the cities burned. Urban riots prompted the War on Poverty and the Model Cities Program, heralding two decades of failed urban experiments to tackle the social and economic decay of neighbourhoods. This is my keynote entry. The oil crises of the 1970s prompted questioning in the West of the idea that planners had to design cities for the car. De-industrialisation was leaving extensive areas of cities frighteningly derelict. Many thought that the counter-urban trends were a natural evolutionary closing chapter to the story that had begun with the industrial revolution. 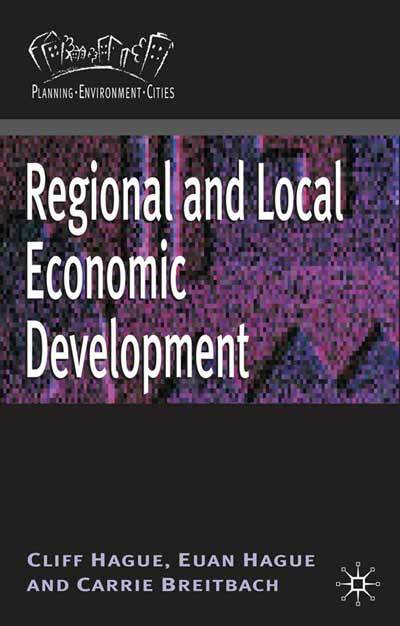 This was the period that saw the invention of urban regeneration and public-private partnerships in an attempt to revive the operation of urban property markets and return the middle classes (or at least young professionals) to the cities. However, a new, more global perspective was also being forged. There had been a major UN summit on the environment in 1972. Now in Vancouver in 1976 came the Habitat conference, my definitive event for this decade. For the first time there was recognition that human settlements (the term adopted) posed a global challenge. The Declaration called on “Governments to prepare spatial strategy plans and adopt human settlement policies.” What a pity that over 40 years later, so few governments have followed this path. Few would have anticipated the spectacular, market-driven redevelopment of urban waterfronts that characterised this period. However, the defining event of this decade has to be the publication of the Brundtland Report, “Our Common Future”. 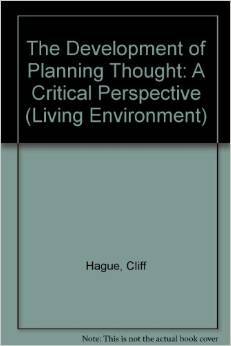 This established the concept of sustainable development, which for all its ambiguities has been a focus for planners and many other professionals internationally ever since. After the disasters at Chernobyl and Bhopal, trust in technology was low. Confidence in the future was tarnished. The earth would never again be a comfortable place to live. Across much of the world, planning was out of favour during these ten years. In Eastern Europe, the collapse of the ideology of the planned economy ushered in a period of largely unregulated urban sprawl. In the rapidly urbanising world plans simply took too long to prepare and were instantly outdated. The hang-overs from a top-down master-planning style did much to discredit the idea of planning in the eyes of politicians and NGOs. Oblivious to much of this, planners in the rich countries set about connecting their practices to sustainable development. In particular in North America, the Congress of the New Urbanism, set up in 1993,became influential with its Charter that declared “neighborhoods should be diverse in use and population; communities should be designed for the pedestrian and transit as well as the car; cities and towns should be shaped by physically defined and universally accessible public spaces and community institutions; urban places should be framed by architecture and landscape design that celebrate local history, climate, ecology, and building practice.” The photo above shows Seaside, Florida, one of the early and best known New Urbanist developments. Meanwhile in Europe there began to develop a set of ideas and practices that culminated in the European Spatial Development Perspective. For a short while it seemed that the idea of spatial planning might have some currency. However, my timeline entry has to be the development of Pudong as the financial hub of China. The east bank of the Huangpu River, across from the traditional Shanghai waterfront, had remained largely undeveloped until it became a Special Economic Zone in 1993. The scale and pace of development that followed announced the Chinese urban development model to the world. So far there has been little engagement of professional planners with the rapid developments in ICT which are changing places and the way we use them. Thus ICT has to remain in the background when discussing this decade, though arguably it will become centre stage. On a more positive note, these years have also seen new international alliances being built to advance thinking and practice for a post-colonialist planning approach to planning. The formation of the African Association of Planning Schools and the African Association of Planners are steps forward. However, my definitive timeline entry is the ghost estates of Ireland and Mediterranean Europe, monuments to permissive planning regimes and the idea that planning gets in the way of “growth”. My timeline is unashamedly subjective. What stands out for me from this last 50 years is the disengagement of planners in the developed countries from the issues posed by urbanisation – economic, social, environmental, political and professional. “Sustainable development” has become the overarching paradigm, guiding the thinking of many planners today and opening up new concerns with climate change mitigation and low carbon cities. I have no problem with that. However, our abiding concern should be to connect sustainable development with the processes of urbanisation. 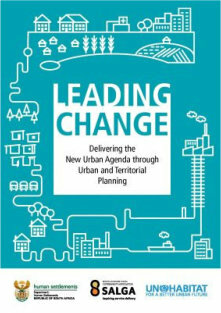 If planners do not see urbanisation as a definitive global challenge, we cannot expect anybody else to do so, or to pay much attention to the discourses of planners. The second part of this blog (1914-63) was first posted on the Planning Resource website on 26 November 2013. 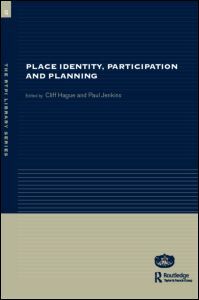 The first part was first posted on the Planning Resource website on 6 October 2013. They are reproduced here by permission of Haymarket Publications.